What do you think when you hear the word “fraternity”? Do you think of the millions of dollars raised each year for national philanthropies? Do you think of academic network that allows these men to have a higher GPA than non-fraternity men? Do you think of the uncommon leadership opportunities that it provides both on the local and national level? Do you think of how strong of a support system such a brotherhood can offer? Chances are, when you hear the word “fraternity” you think of the isolated, unfortunate instances of racism, sexism, and hazing that occur at a very small percentage of chapters. If you’re reading this thinking, “there is no way I would every join a fraternity,” know that I was in the same exact state of mind a year ago. If this is you too, I highly encourage you to finish reading this letter. Pi Kappa Phi is a tight-knit network of campus leaders, who are redefining what “fraternity” means both on campus and on the national level. We were founded on the basis of defying the negative stereotypes that engulf fraternity men, and now we are one of the fastest growing fraternities on campus. Our mission is to provide uncommon opportunities to develop the already great leaders on campus into exceptional men. Located on the edge of campus at 38 Nutting Ave, we have one of the nicest fraternity house on campus. Open these doors and you will find a diverse mix of exceptional men, all with unique interests and campus involvement. We have many connections to other registered student organizations, such as SGA, UPC, Club Running, a Capella groups, comedy improv groups, Neuroscience club, Best Buddies, and many more. Additionally, the social opportunities within the Greek community are vast and rewarding. Academically, we are the best on campus, boasting the highest GPA of any Greek organization on campus thanks to the great academic support of the brothers. On top of all of this, we have a vast alumni network of even more of the unique leaders and scholars before us to reach out to as well. 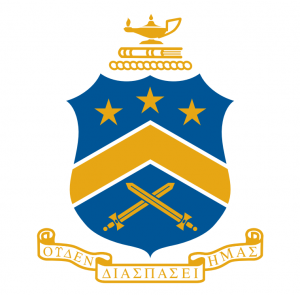 Philanthropy is one of the biggest, most important aspects of Pi Kappa Phi. We are the only fraternity in the world who runs and operates our own national philanthropy organization, called The Ability Experience. This organization is committed to helping people with disabilities, which has allowed our brothers to participate in some of the most meaningful philanthropy events. Our chapter has built ramps to create handicap accessible homes, participated in a 36 hour bike-a-thon to raise money for The Ability Experience, and will be hosting a road race this upcoming semester to raise awareness for people with disabilities. On the national level, there are many life-changing opportunities to participate, such as the famous Journey of Hope in which brothers from around the country bike from San Francisco to Washington, D.C. over the summer. You can learn more about the ability experience at http://www.abilityexperience.org/. At the core of all of these accomplishments is a strong sense of brotherhood. Brotherhood is the real reason why we all come together. Without this support system, none of these accomplishments would be remotely possible. Many people describe the notion of brotherhood as something that is impossible to understand from the outside and impossible to describe from the inside. There is something so empowering about having 50+ men come together with the common goal of becoming the best men they can be. Nothing compares to the organic, unforgettable memories that we create together. If your interest is at least slightly peaked, I highly encourage you to come meet us. Even if you decide not to join, the worst thing that happens is you get to participate in fun events and eat free food. Overcoming my preconceived opinion of fraternities and finally deciding to attend my first recruitment event was one of the best decisions I have ever made, and has provided me with memories and opportunities that I had never thought existed.